East Surrey Bees offer Professional Teaching and Tuition. We run professional courses for beekeepers of all levels of experience. Tutors have teaching qualifications and extensive beekeeping experience. We have over two hundred honey producing hives and raise nucleus colonies for sale. 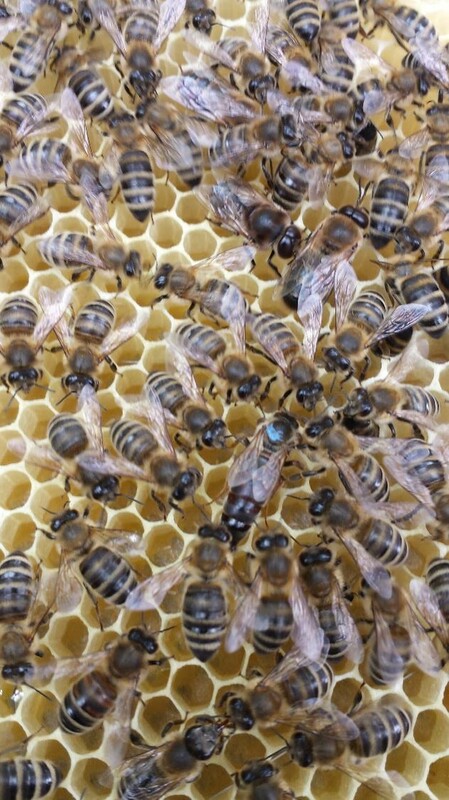 A ten week course for those wanting to lunderstand the principles and practices of beekeeping. Details o Courses page. 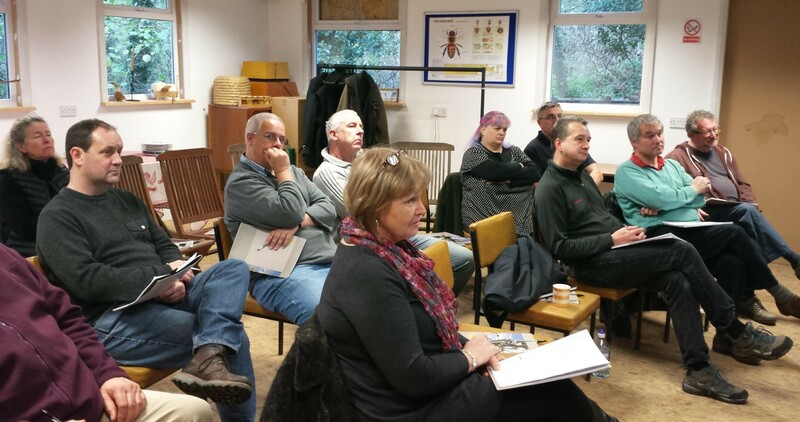 We run professional courses for beekeepers of all levels of experience. 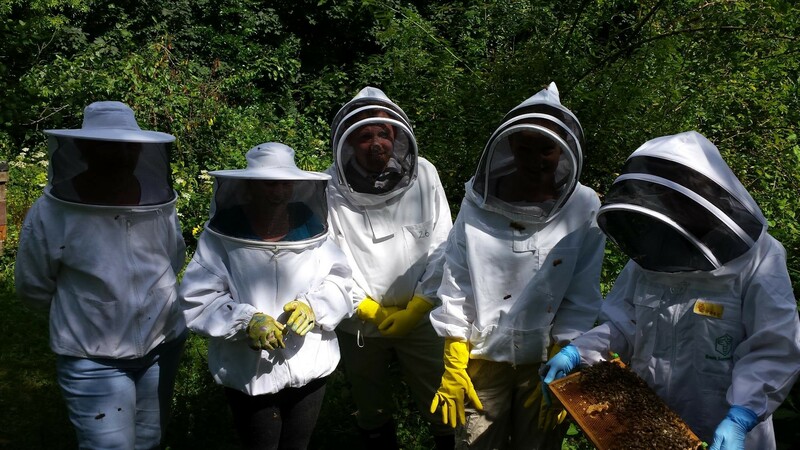 Tutors have teaching qualifications and extensive beekeeping experience. 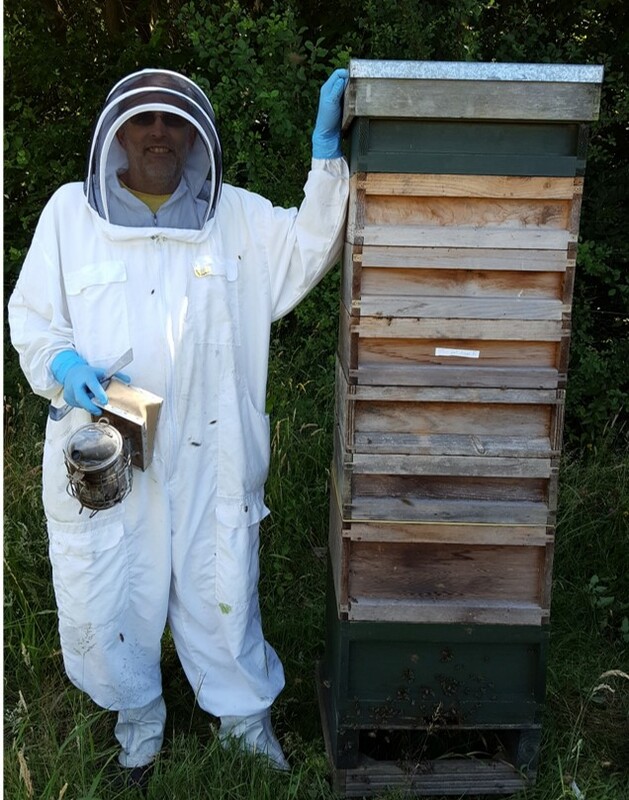 We have 'Taster Days' for beginners, day couses on activities relating to beekeeping and also run Corporate Days for businesses who want something a little different. The mysteries of mead making unravelled. Practical and theory of making mead and melomel and a chance to try some we have made earlier. 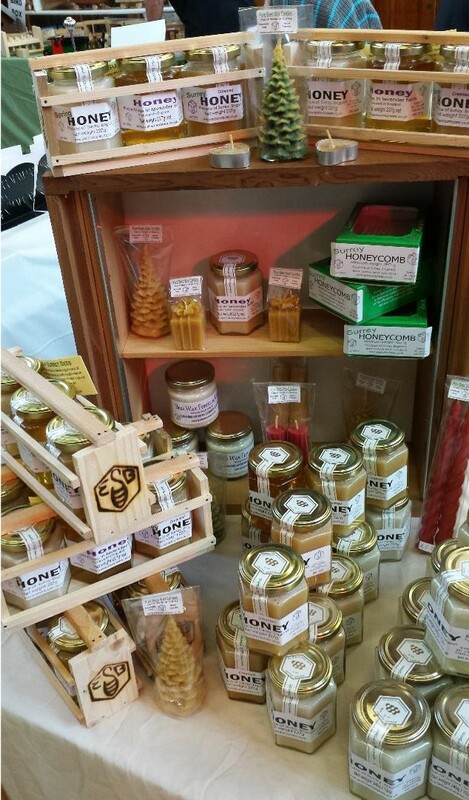 We have a range of hive products available from our two hundred plus, honey producing colonies. We produce raw honey which is extracted from a single site at a time so that you can buy honey local to you. We also produce cut comb honey and pure bees wax candles. We produce nucs for sale in the spring and early summer. We also specialise in raising docile bees from our own queens which are available from early summer. East Surrey Bees have a wide range of talks, presentations and demonstrations for all age groups. From pre-school and Early Years groups through school age children to adults, we can develop a presentation to suit your requirements on a range of topics. 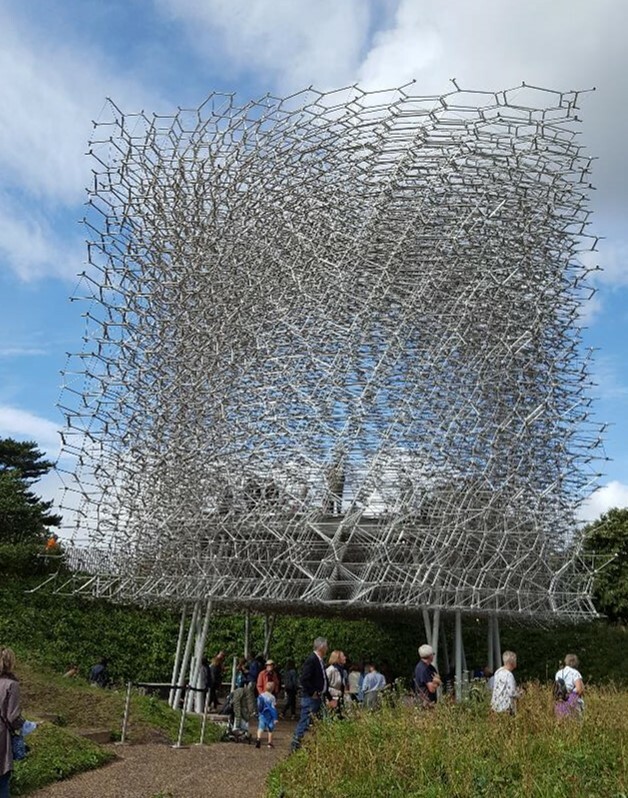 In addition to talks for Beekeeping groups we also give fun and educational talks and demonstrations to all ages from pre-school groups, Nursery, Primary and Secondary schools to Colleges and Universities. We also do talks and visits for the uniformed groups such as Brownies, Cubs, Scouts and Guides. We have given talks to Natural History Societies, Museums and Horticultural Groups as well as the Women’s Institute, Rotary and the Round Table are just some of the organisations that we have given presentations to in the last year alone. We were very pleased to be part of the IMYB in Marlborough in July 2017. This amazing weekend saw teams of young beekeepers between 12 and 16 years of age taking part in two days of bee keeping challenges. Some of the activities were using the twenty colonies of our beautifully docile bees taken to the venue for the event. 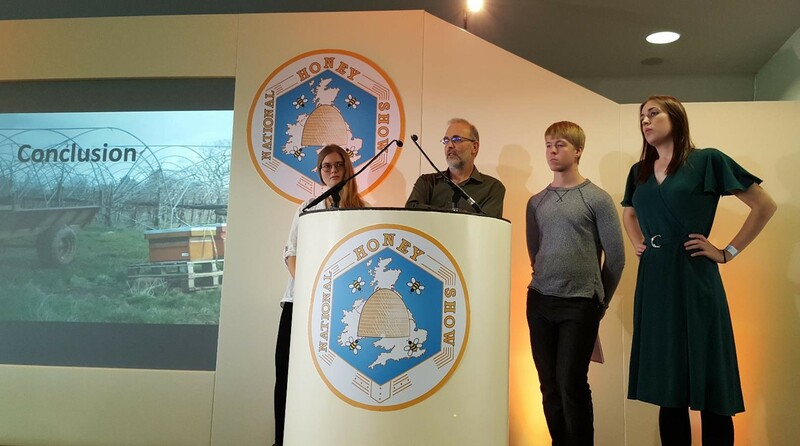 The second cohort of the Rowse/ Bee Farmers Apprenticeship scheme were asked to give a talk at the National Honey Show in October 2016. Invited to give talks to the public at intervals throughout the day, it was a wonderful oportunity to interact with people of all ages from all over the world. It is an amazing structure and do pay a visit if you get a chance. On the 10th March we had a visit from Good Morning Britain! Originally the piece was to air on TV on Monday 14th March for National Apprentice week, but unfortunately there wasn’t time in the busy schedule of the programme but the film has been made into a video that can be viewed on the internet. Lara Manton, one of the students on the Bee Farmers /Rouse Apprenticeship scheme, spoke eloquently about the importance of the three year course. There are some wonderful shots of the apiary and just a few shots of bees under the roofs being fed candy by Lara. Many thanks to Alice Maguire the ‘Good Morning Apprentice’ and camera man Ollie for making such a good film. 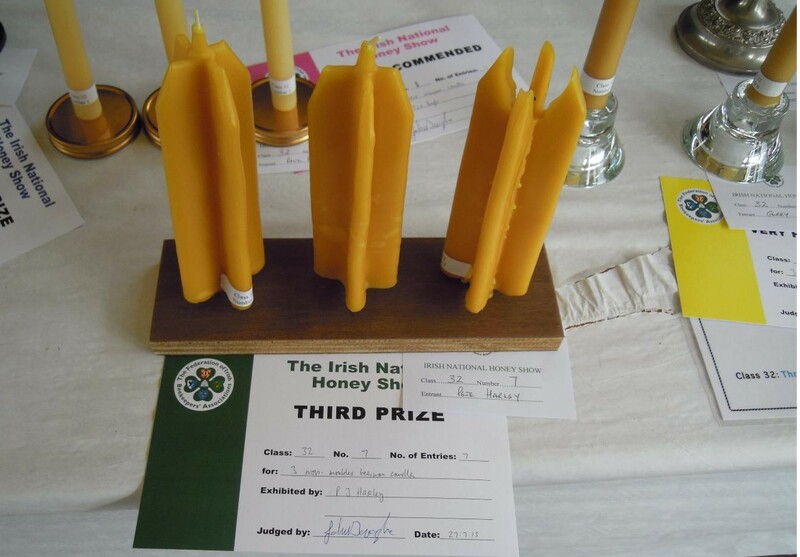 It was great to hear from an attendee of the Further Candle Making Course at Harper Adams back in March, that his candles had won him third prize in the prestigious Honey show at Gormanston this summer. Below is an extract of his email. "Earlier this year I attended your candle making course on the last day at Harper Adams……and a couple of weeks ago we both went to the Irish National Honey Show at Gormanston and I took along 3 of the first candles I ever made by the dipping process that you showed us. I have attached a photo of the result. The judge must have been a bit impressed with the technique rather than the candle uniformity or wax quality!!!" 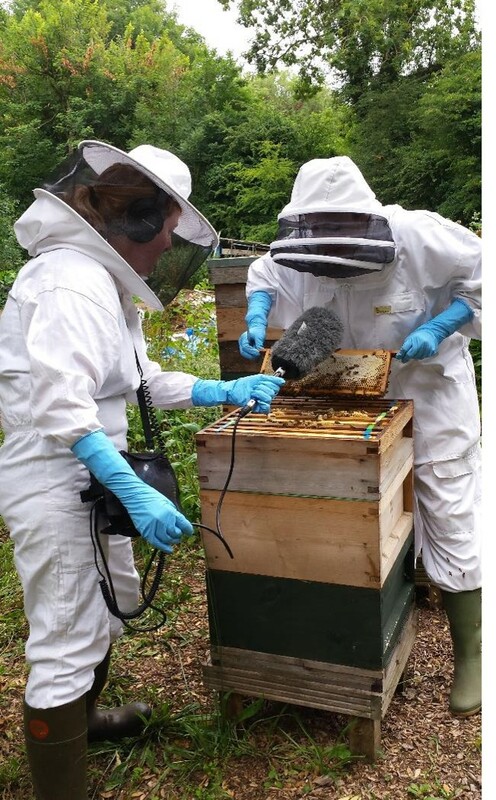 Beatrice Fenton from Radio 4's' Farming Today' programme, interviewing Apprentice Bee Farmer at the East Surrey Bees Apiary.